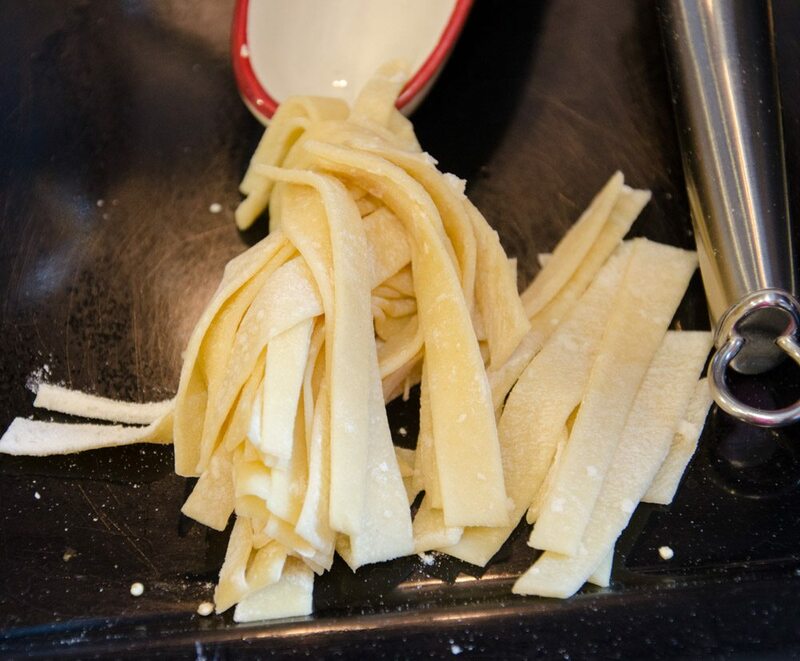 Some people hear homemade noodles and assume it will be complicated. At least I did. I was picturing a complicated dough, hard to cook perfectly, some magical mixture that I couldn’t master. But is it? Nope. This is one of those things they really should tell us in high school: you only need 4 ingredients: egg, milk, salt, and flour. And this isn’t like bread: there is no tricky ‘rising’ or step in which the noodles are amazingly sensitive. These noodles are versatile. You can eat them plain. My family likes to smother them on mashed potatoes. I’m personally not a big fan of mashed potatoes. I throw these in my homemade chicken noodle soup (check out the recipe…it’s delicious)! I’m also planning on trying them in beef stroganoff. 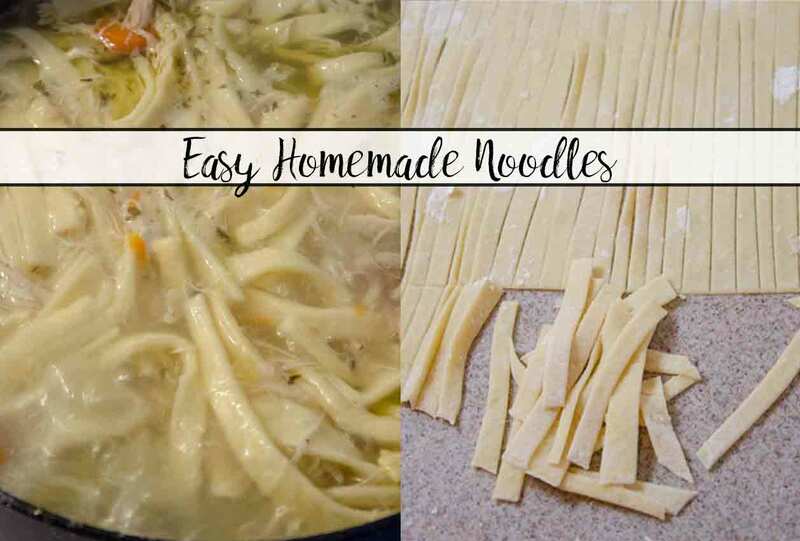 Is there a recipe you love (or want to try) homemade noodles in? 1) It’s cheaper- and I mean a lot…it adds up over time. 2) It tastes/works better…and I mean tastes a lot better. So much better you’re taste buds say “Oh! That’s what this is supposed to taste like! (or that’s how the restaurants make it taste like this!”). For cleaning items, it works just as well or better if I’m recommending it. 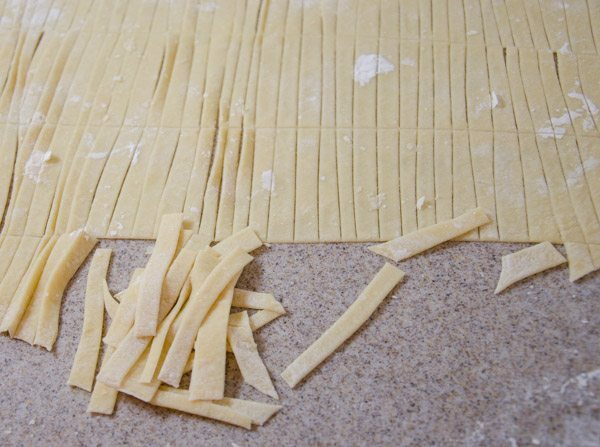 Homemade noodles: ingredients. Very complicated, I know. 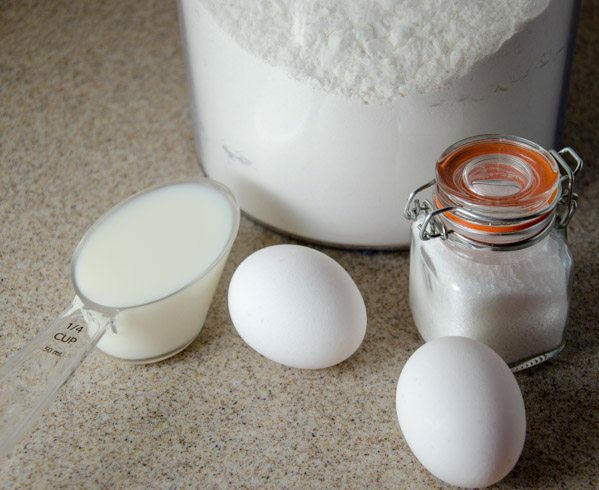 Mix ingredients together with fork. 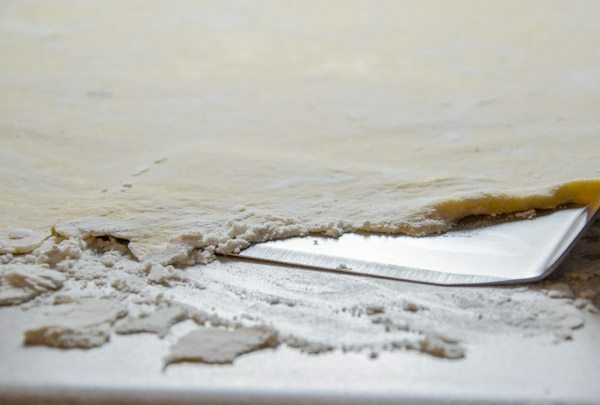 Will have texture like pie crust. 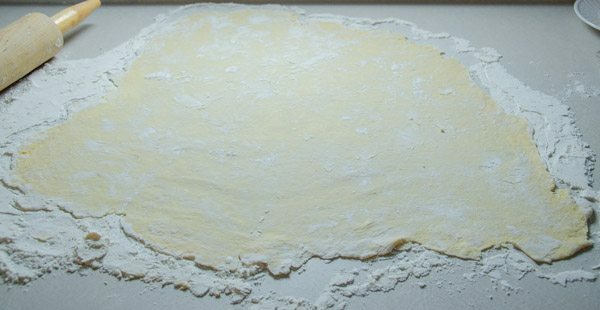 Dump out mixture onto lightly floured surface. Knead 1-2 minutes, until everything mixed well. Flour a large surface. Roll out as much as possible. We're aiming for almost translucent. They will thicken up as they cook. Roll out as far as possible, using a decent amount of pressure. Allow to set for 30 minutes after rolled out. Close-up of how thin the noodles should be. After 30 minutes, cut noodles. A pizza cutter works well. After cut, let sit for another 5 minutes. Noodles will break up as you lift them. I use a sharp-edged spatula. Drop noodles into boiling broth (or water) handful by handful. DON'T dump them all in at once. Continue adding by the handful, stirring often. Simmer 10-12 minutes (until noodles are done). Beat first three ingredients together. 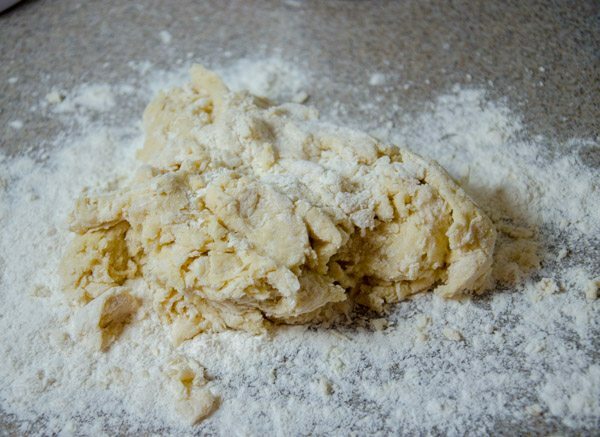 Add enough flour to make a stiff dough (it will have a similar texture to pie crust). Note: I always use the entire 2 cups. 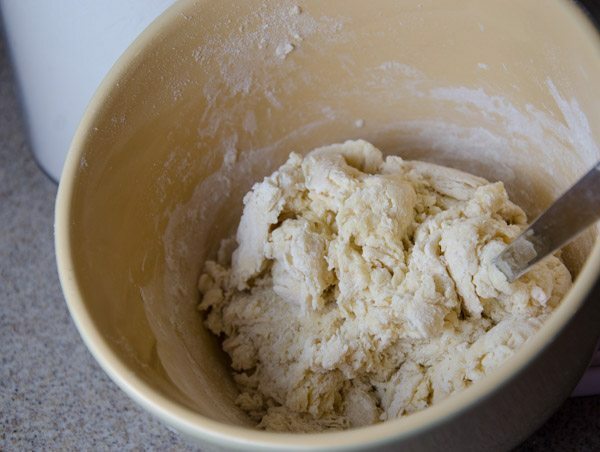 Remove from bowl and knead 1-2 minutes. 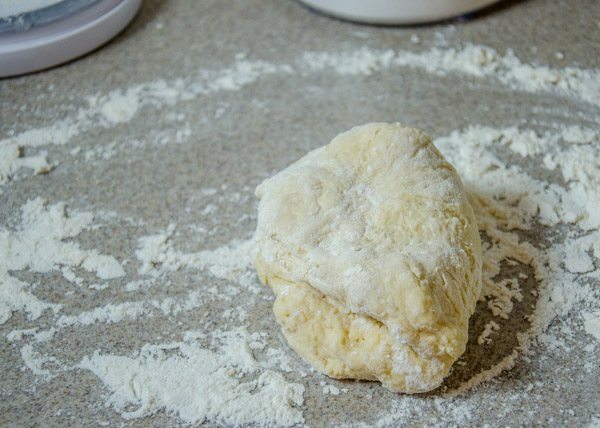 Sprinkle flour on large surface area. 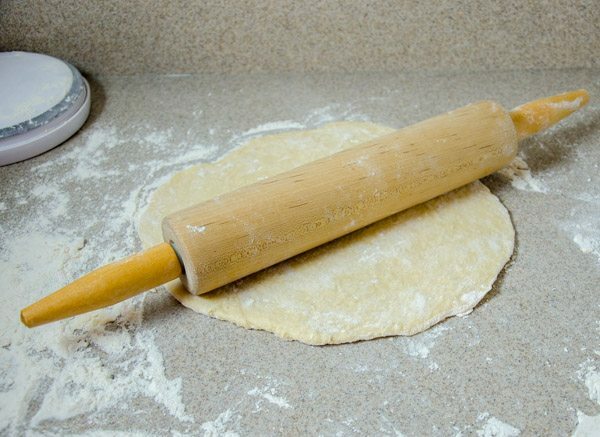 Roll out the dough, sprinkling a little flour on top or on rolling pin as needed. Roll until it is very thin- almost translucent if you can get it that thin. Let sit for 30 minutes. Start a large pot of chicken broth (or water) heating. 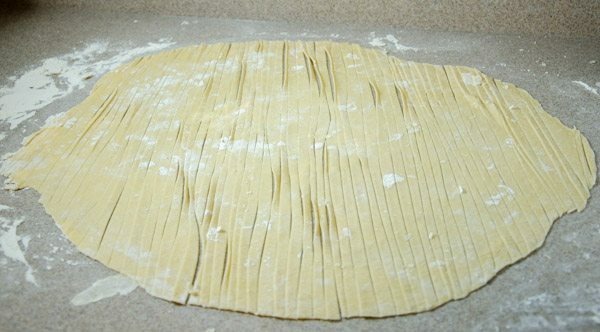 After 30 minutes, cut noodles into desired lengths. Allow to sit for another 5 minutes. Bring broth to a boil. 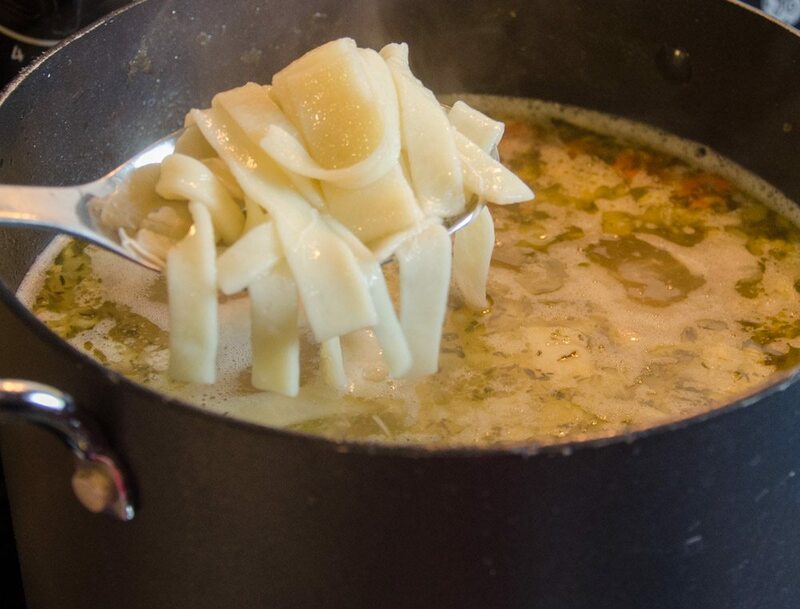 Add noodles handful by handful to boiling broth. Cook noodles for 10-12 minutes. 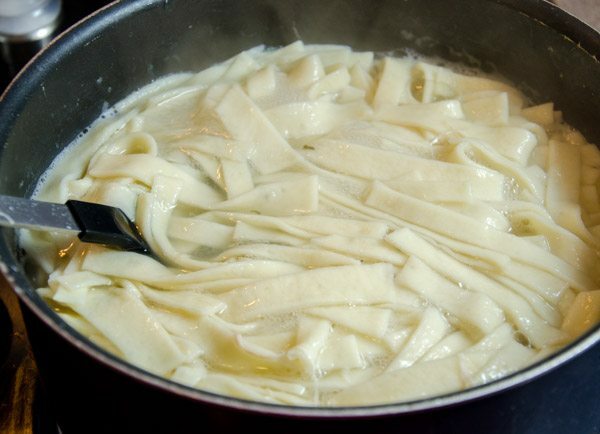 If you wish to use noodles at a later date, after cutting noodles, allow them to dry completely. Then store in an airtight bag. 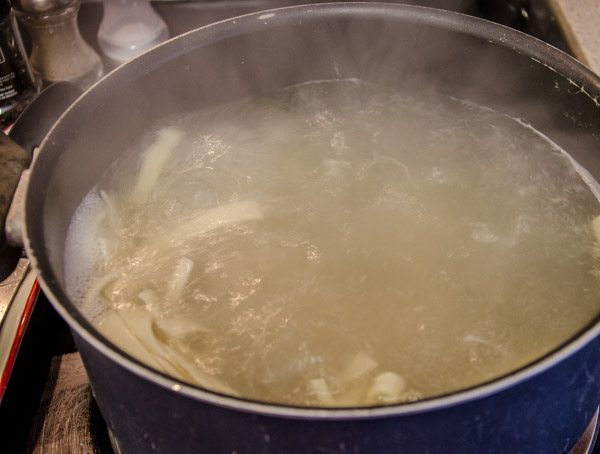 To use, remove noodles from freezer and add frozen noodles to boiling broth. Boil for approximately 15 minutes. You can easily double this recipe. 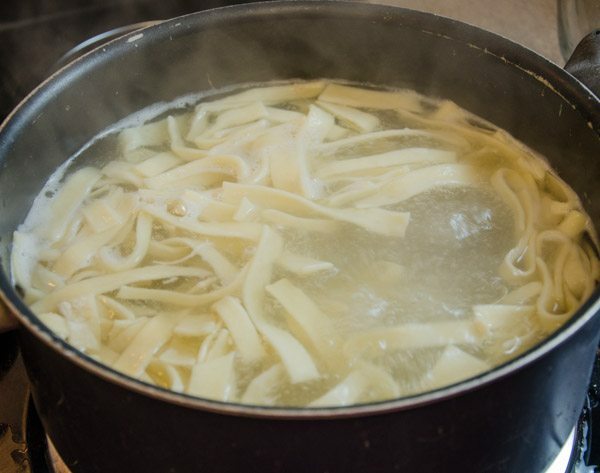 If eating the noodles plain, definitely cook in chicken broth, not plain water. Plain water can be used if using noodles in another dish and the 'flavor' isn't needed.